U.S. gas prices hit a 12-year low over the Fourth of July holiday, eliciting praise from President Donald Trump and setting up a much-needed summertime boost for struggling American retailers. GasBuddy, which has been tracking U.S. gas prices for 17 years, said the average national price of a gallon of gas hit $2.21 over the Independence Day period, the lowest since 2005 and the first time ever that prices were lower on July 4 than they were on January 1. 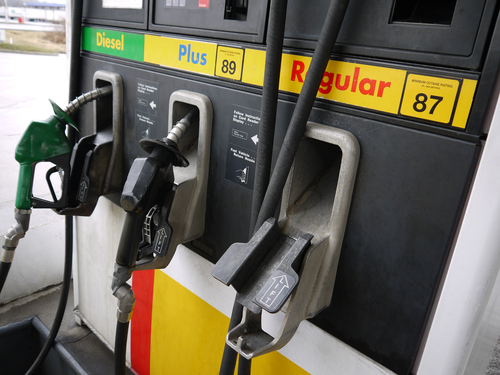 The AAA said prices averaged $2.23 per gallon. The moves correspond with the worst six month stretch for global oil prices since 1997, driven by a surge in U.S. production and a global supply glut. The price declines were cheered by Trump, who referenced the moves in a series of Tweets over the July 4 holiday that indicated a hope that they would fall even further. That could prove difficult, however, given that at least 10 U.S. states will enact gasoline tax increases in the second half of the year and global crude prices are beginning to increase amid signs that U.S. production may be slowing from its torrid first-half pace. West Texas Intermediate crude futures, which offer a proxy for oil costs in the month of August, were last seen changing hands at $47.09 after hitting a one-month high of $47.31 in Tuesday trading. The current low prices, however, could provide a temporary spending boost for U.S. consumers over the summer period, as Americans direct more cash to the broader economy. The SPDR S&P 500 Retail ETF (SPY) , one of the broadest measures of U.S. retail stocks, fell just under 7% over the first half of the year compared to an 8.26% gain for the S&P 500 benchmark.